You wrote a book—a really good book—and you feel strongly it should be published. You read about self-publishing and wonder if it’s right for you and if so, where to start. Or is traditional publishing best? The publishing industry is evolving into a very different business than it once was and technological advances over the last few years have created expanded opportunities for new writers. Before you take the plunge into the publishing world, however, you need to thoroughly understand your options in order to choose the best path to publishing success. You need to understand what the goals and objectives are for your particular book, and who your target audience is and how to reach them. Why did you write your book? Where should your book be sold? How should your book be marketed? Understanding the answers to these questions as well as what different publishing options have to offer will factor in as you make the choice between traditional and self-publishing. In traditional publishing with a mainstream publishing house, the author completes a manuscript, writes a query letter or book proposal, and submits these documents to the publisher or literary agent (to submit on the author’s behalf). An editor reads it, considers whether it is right for the house, and decides either to reject it or to publish it. If the publishing house decides to produce the book, the publisher buys the rights from the author and pays an advance against future royalties. The house puts up the money to design and produce the book, prints as many copies of the book as it thinks will sell, markets the book, and finally distributes the finished book to the reader. Because the publisher is making an investment in the book, it can be more difficult for new authors to be accepted as the publisher is looking for titles and authors with strong platforms and proven marketing plans. An author’s platform is basically the visibility and authority of the author demonstrating proven reach to a target audience. For example, experts and celebrity authors have built-in marketable platforms because of their fans and followers. The publisher wants a certain confidence level that books will sell, their investment will be recouped, and profits generated. The process to bring a book to market through self-publishing is somewhat different. An author who decides to self-publish essentially becomes the publisher. While writing is an art, publishing is a business and the author has to think of the book as a product. The author must provide the funds required to complete the book, create the final artwork, and publish it. They need to contract with an editor, book designer and sometimes indexer or other specialist to do so. The author is then responsible for marketing and distributing the book, filling orders if needed, and running advertising and marketing campaigns. In the past, the author also had to decide on the number of copies to print, sometimes resulting in cases of unsold books gathering dust in the garage. Fortunately, the Print on Demand (POD) technology now used by most self-publishing companies allows authors to print copies as needed instead of managing a large inventory. If the author is not comfortable taking on all of the production and publishing requirements, he may choose to work with an outside publishing service provider that will publish for a fee, or work with a trained author’s assistant to oversee the process. Simply put, with traditional publishing an author is PAID to publish a book while in self-publishing, the author PAYS to publish a book. The fundamental differences between traditional and self-publishing can be explained in terms of time, money and control. With traditional publishing, a manuscript can take years to become a book. Considering that the bigger houses can take up to six months just to work through the “slush pile” of proposals and queries on editors’ desks to get to your manuscript, and that you will likely have to try several publishing houses before you get one to show interest, the wait can be extremely long (assuming your manuscript ever gets selected at all). That’s a lot of waiting. Then, if a house does decide to take your book, the actual process of producing the book can typically takes at least another year. Some nonfiction books that are topical and relevant to current world events might be pushed through more quickly for an author with a strong platform, but in most cases it’s a waiting game. With self-publishing, depending on the condition of the manuscript at the beginning of the production process and the publishing service (if any) used, an author can literally have a finished book in hand within six months of beginning production. 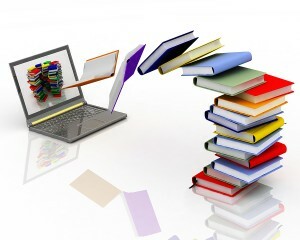 And, with e-books, this can be reduced to weeks, or even days. Time to market can be particularly important if your book has a timely topic or you are using it to build credibility for your business and you don’t have years to wait for the book. Of course, unless you have the expertise to manage this process, authors must pay for this service, which raises the issue of money. One of the biggest mistakes a self-published author can make is to cut corners and try to do everything himself. The end product will likely reflect this with poor design and/or editorial flaws. The book will “look” self-published and may not be taken seriously. Money is the next element in the publishing mix to consider. With self-publishing, the author often pays thousands of dollars, depending on the service company chosen or resources needed. In contrast, with traditional publishing, the author is paid an advance, ranging from small sums to seven-digit figures depending on the author. In traditional publishing, the publishing house, with its huge resources, experience, knowledge, and contacts, vigorously promotes the book. Today, however, even traditional houses require that the author be out there actively marketing the book in addition to the marketing tools they provide. Unless you are well-known author, the marketing budgets for new titles can be very small. When you self-publish, you pay for everything—design, editing, printing, advertising, and distribution—to get your book into stores and ultimately into people’s hands. You’re all by yourself; which is why self-publishing works best for people who are good at self-marketing, have a good understanding of the printing and distribution process, or the funds available to contract for these services. The benefit of self-publishing is that you retain all the rights and profits of your book depending on the service provider you use. The biggest payoff for all of your payout as a self-publisher, though, is control. Often an author’s excitement at selling a manuscript to a publisher turns into heartache when an over-zealous editor rips that manuscript into unrecognizable shreds. The story may be altered, characters re-worked, and even the title changed. Since the author sells the rights of the work to the publishing house, he or she has very little input into the finished product. With self-publishing, the author has much greater control over the contents, design, and appearance, as well as where the book is marketed and distributed. The author controls when the book hits the market and how it is priced and sold. Having looked at traditional publishing versus self-publishing, you need to ask yourself some tough questions about what is best for you, your intentions, and your manuscript. You need to understand what your goals are for your book before you choose a publishing option. Different books have different requirements. Should the book be available through online retailers or brick and mortar stores (or both)? Will the book be used as a giveaway to business prospects, or sold at speaking events? Do you have a strong platform and are willing to play the waiting game in order to potentially earn a large advance from a traditional publisher? Or is control of your manuscript, retention of rights, and a quick turnaround more important? The good news is that the available tools—POD, the Internet, and online booksellers—are leveling the playing field between traditionally published and self-published books. Authors now have more options than ever before. The key is to become educated on the options, and do the homework needed to select the best path to your publishing success. « Meet the Author, Caroline Hartman on Sat. 5/10 in Exton PA!